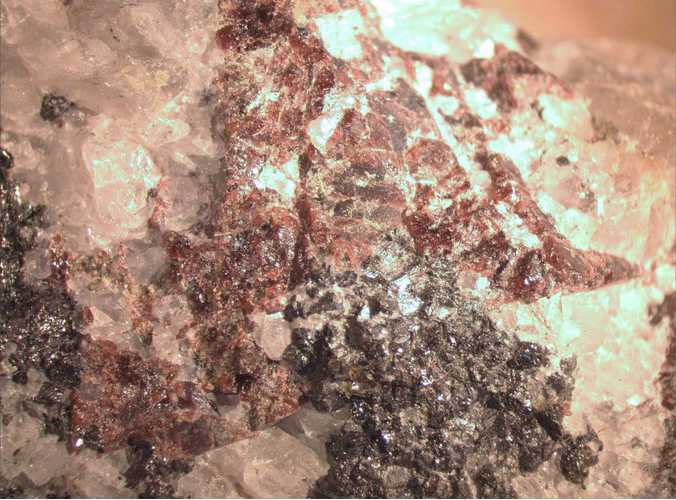 Danalite: Mineral information, data and localities. 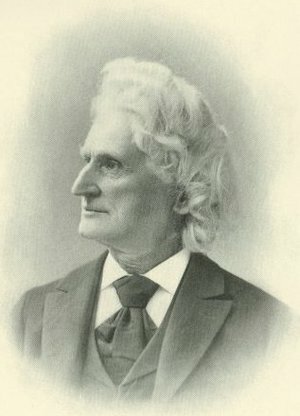 Named after James Dwight Dana (1813-1895) American mineralogist and geologist, Yale University. Helvine Group. Danalite-Genthelvite Series and the Danalite-Helvine Series. Octahedral and dodecahedral crystals to 10cm. Chlorite Group 5 photos of Danalite associated with Chlorite Group on mindat.org. Quartz 5 photos of Danalite associated with Quartz on mindat.org. Helvine 5 photos of Danalite associated with Helvine on mindat.org. Riebeckite 4 photos of Danalite associated with Riebeckite on mindat.org. Fluorite 3 photos of Danalite associated with Fluorite on mindat.org. Magnetite 2 photos of Danalite associated with Magnetite on mindat.org. Bertrandite 2 photos of Danalite associated with Bertrandite on mindat.org. Annite 2 photos of Danalite associated with Annite on mindat.org. Calcite 2 photos of Danalite associated with Calcite on mindat.org. Hedenbergite 1 photo of Danalite associated with Hedenbergite on mindat.org. Sytle M. Antao, Ishmael Hassan, and John B. Parise (2004), The structure of danalite at high temperature obtained from synchrotron radiation and Rietveld refinements, Canadian Mineralogist: 41: 1413-1422. Whitehead, 1990; Ralph Bottrill 6/10/2005. ⓘ Barbara Gold Mine (SBS 28 Complex; Shirl-Barbara-Surprise complex) ? Grguric, B. A. & Downes, P. J. 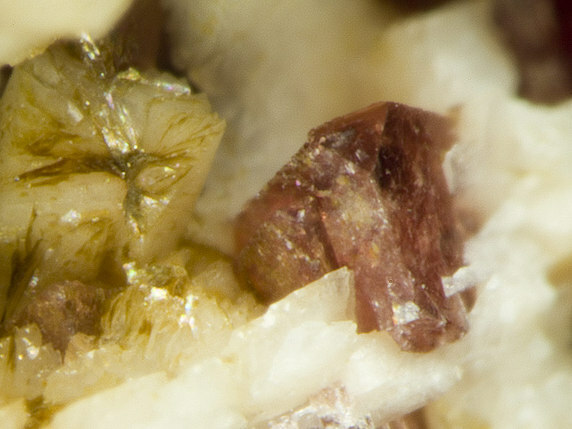 (2008): Pegmatite minerals from the Barabara mine, Coolgardie, Western Australia. Australian J. of Mineralogy 14, 55-60. KOLLER, F. & G. NIEDERMAYR (1978): Die Mineralvorkommen der Diorite des nördlichen Waldviertels. – Annal. Naturhist. Mus. Wien, 82: 193-208.; R. Exel: Die Mineralien und Erzlagerstätten Österreichs (1993); Kolitsch, U. (2017): 2041) Helvin, Rutil und Spessartin vom Steinbruch Poschacher bei Artolz im Waldviertel, Niederösterreich. Pp. 261-262 in Walter, F. et al. (2017): Neue Mineralfunde aus Österreich LXVI. Carinthia II, 207./127., 217-284. Raimbault, L. and Bilal, E. (1993) Trace-element contents of helvite-group minerals from metasomatic albitites and hydrothermal veins at Sucuri, Brazil, and Dajishan, China. Canadian Mineralogist, 31, 119-127. Layne, G.D. and and Spooner, E.T.C. (1988): The Geology and Mineralogy of the JC Tin Skarn, Yukon Territory, Canada. In: Hutchison, C. S., Ed. : Geology of Tin Deposits in Asia and the Pacific, Springer Verlag, Berlin, pp. 163-184. Layne, G. D., & Spooner, E. T. C. (1988). The Geology and Mineralogy of the JC Tin Skarn, Yukon Territory, Canada. In Geology of Tin Deposits in Asia and the Pacific (pp. 163-184). Springer Berlin Heidelberg. 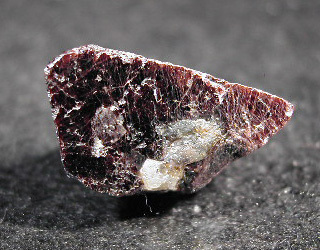 Ottens, B., and Neumeier, G. (2012): Mineralogical Record 43, 529-563; Pavel Kartashov analysis on an alleged "genthelvite". Cempírek, J., Cícha, J., Všianský, D.: Bertrandit a další minerály Be. Minerál, 2009, roč. 17, speciál, s. 48-53. Marmo, Vladi et al 1966. On the granites of Honkamäki and Otanmäki, Finland, with special reference to the mineralogy accessories. Bulletin de la Commission Géologique de Finlande n:o 221, 34p. illus. Al-Ani, Thair and Sarapää, Olla 2011.REE Geochemistry and Mineralogy of Tin-bearing Greisens and Wall Rocks in Eurajoki Rapakivi granite, SW Finland.Julkaisusarja: GTK:n arkistoraportit. Tsuruta et al. (2005) Chigaku Kenkyu, 54, 89-93. Grauch et al. (1994): Høgtuvaite, a new beryllian member of the aenigmatite group fom Norway, with x-ray data on aenigmatite. Canadian Mineralogist. 32: 439-448. Nimis, P., Molin, G., Visonà, D. (1996) Crystal chemistry of danalite from Daba Shabeli Complex (N Somalia). Mineralogical Magazine 60:2, 375-378.
ⓘ Lanivet Consols (Tretoil Mine) ? ⓘ Wheal Maudlin (Wheal Mawdlin; Wheal Magdalen) ? ⓘ New Tolgus Shaft ? Golley, P. & Williams, R. (1995): Cornish Mineral Reference Manual. Endsleigh Publications (Truro), 104 pp. Green, D.I., Bell, R. & Moreton, S. (2005) UK J. Mines & Minerals, No. 25, p.25-30. Anthony, J.W., et al (1995), Mineralogy of Arizona, 3rd.ed. : 198. Palache, C. (1907): Phenakite as an Alteration Product of Danalite From Gloucester, Mass. (American Journal of Science 24:252-255); Yale Peabody Museum no. 3290. Handbook of Mineralogy - Anthony, Bideaux, Bladh, Nichols; Yale Peabody Museum no. 777; Sears, J. H.(1905): The Physical Geography, Geology, Mineralogy and Paleontology of Essex County. McKinstry, H. E. (1921): The Minerals of Rockport, Massachusetts (American Mineralogist 6:56-60). Richards, J. P., Dang, T., Dudka, S. F., & Wong, M. L. (2003). The Nui Phao tungsten-fluorite-copper-gold-bismuth deposit, northern Vietnam: An opportunity for sustainable development. Exploration and Mining Geology, 12(1-4), 61-70.